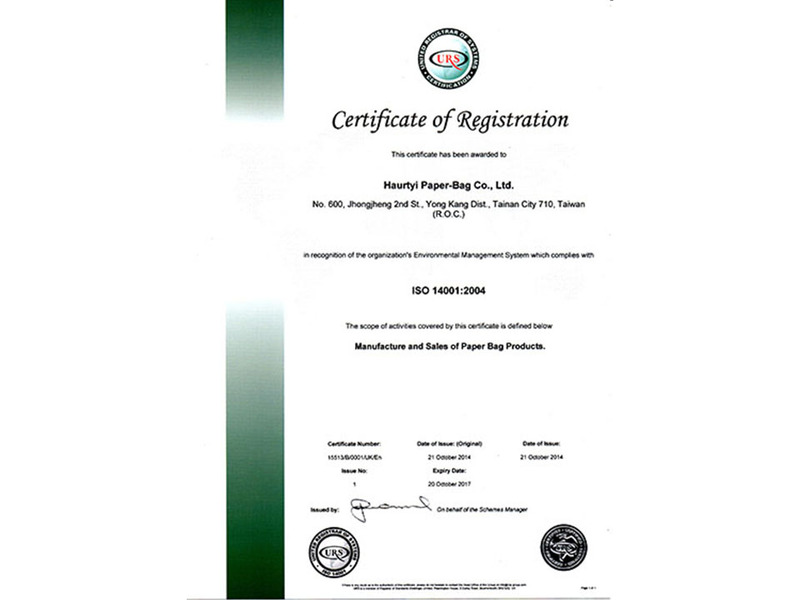 Haurtyi Paper Bag Co., Ltd., A Leading Paper Bag Manufacturer In Taiwan, Was Founded In 1995. We provide a consistent production process, Computer-To-Plate (CTP), printing, lamination, embossing, bag converting, and even delivery. We have continually invested in state of the art equipment to enhance print quality and strengthen our own competitiveness, pioneering many aspects in the industry. This includes: pre-press CTP, heidelberg 5C, 4C and 2C printing press, environmentally friendly water based lamination machine, the nation’s first Japanese NEW PORT single side creaseless high speed automated bag making machine (covers widths from 15 to 45cm), fully automatic bag making machines for various bag specification, automatic embossing machines. Our comprehensive facilities place us at the forefront of the industry. In terms of production capacity, we exceed the capacity of other manufacturers with 6 bag making machines and 3 printers which provide a monthly output of 8.5 million bags, and over 12 million US dollars In annual business turn Over. It also ensure a proper quality and adherence to delivery dates. We dedicate ourselves to finding the perfect balance between protecting the environment and production, doing our best for the earth’s ecology. 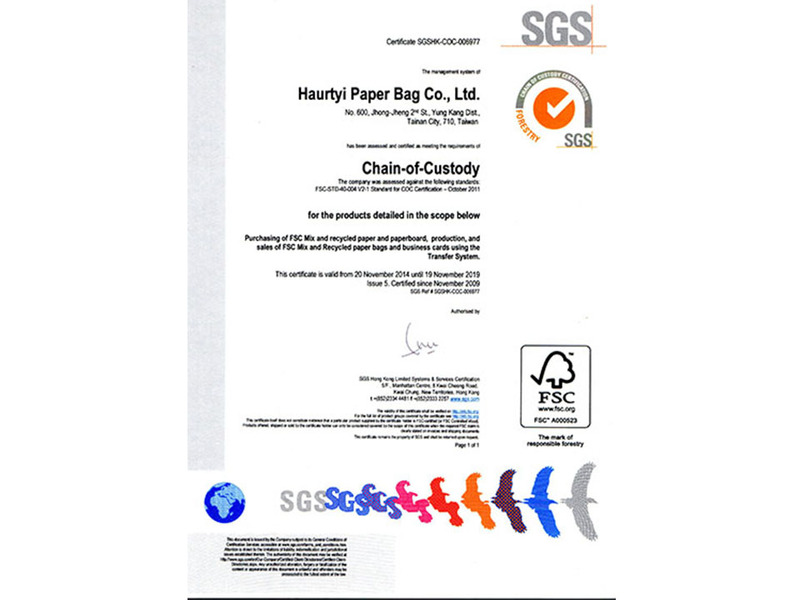 Not only do we promote reforestation initiatives throughout the entire factory and the concept of treasuring paper, we are the first bag manufacturer in Taiwan to pass FSCTM COC certification. In addition, we insist on refraining from the use of industrial waste paper throughout the manufacturing process. We use only environmentally friendly soy ink and water based solvents which do not produce odors. 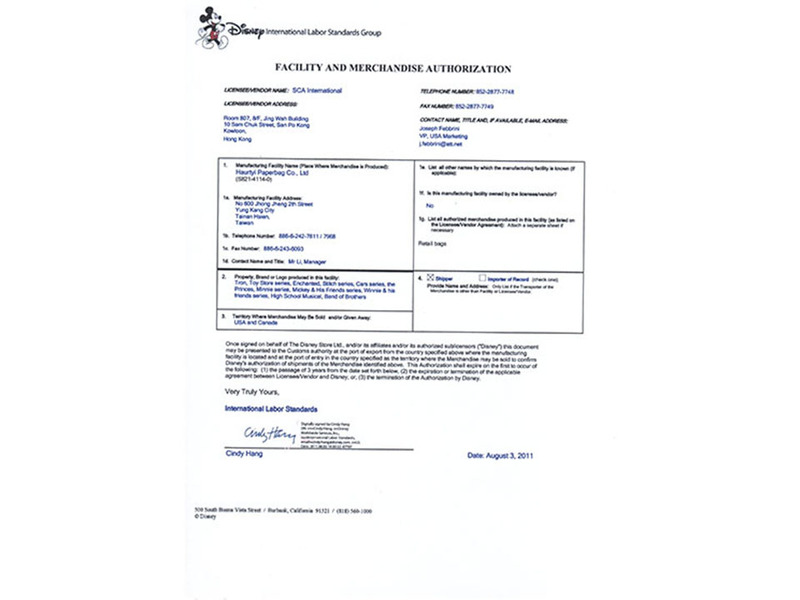 Our clients span the Americas, Europe, Australia and New Zealand, Middle East, and Japan, including world-renowned corporations such as Disney and Estee Lauder. As we recognize the preciousness of resources, we have been manufacturing paper bags from stone paper since 2007, as it is a material which does not require trees to be cut down. It is an excellent material which is waterproof, bug proof, durable, and does not need to be bleached. It will even undergo automatic photolysis once discarded. The ecofriendly practice we insisted, have returned us a favorite of the White House, Deutsche Bahn, Lufthansa, Gap, M.A.C, Dintaifung, Timberland, ECCO, Adidas, Sony, Asics, Amway, Puma, FILA, Daiso Japan, 31 Ice Cream, Newlook, as well as numerous other international brands. Haurtyi Paper-bag Co., Ltd. Was established, meanwhile, introduced the nation’s first Japanese NEW PORT single side creaseless high speed automated bag making machine. International Sales Dept. was set up, kicking off exporting sales to oversea market spanning America, western Europe, Australia, New Zealand, and Japan. 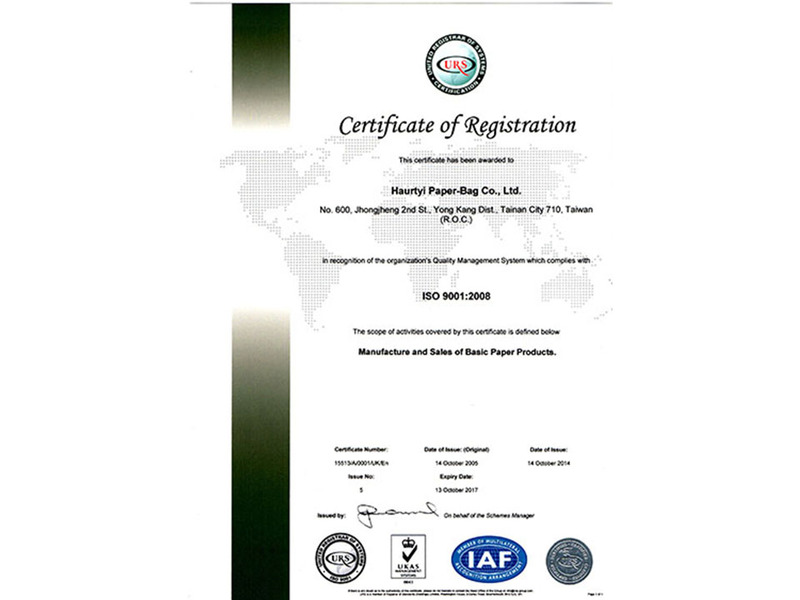 Initiated cooperation with TLM Corp., develop and promote stone paper bag to global market. Invested 3.8 million USD founding our third factory(building covered 2300 square meter for quality control and packing) and printing experiment equipment.